Last week I was standing in front of a huge painting of a scene from Shakespeare’s Macbeth by the English artist Joshua Reynolds. I just wasn’t feeling it. But then someone came over and pointed out the figures, the creepy prophecies and a huge toad I’d managed to miss. The moment I got that leg up I walked right into the picture. When I look at a work of art the first question I ask is “what is this about?” This is the key for the lock of the door that leads to an art experience. With a key you’re less locked out and more let in. Two words help describe what a painting is “about”. Genre is a ‘category’ or ‘type’ of painting; examples include History, Portraiture, Landscape and Still-Life (unhelpfully, the word genre also describes a type of painting showing a scene from everyday life but we’ll get to that). The other word that describes what a painting is about is subject. In the case of the Reynolds it’s Macbeth meeting the witches, elsewhere it might be a river or a rollicking lamb. 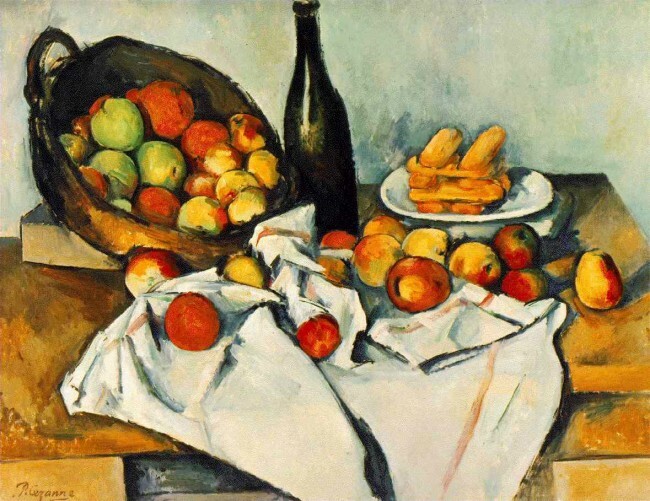 Genre describes what ‘type’ a painting is and subject describes what it is about. 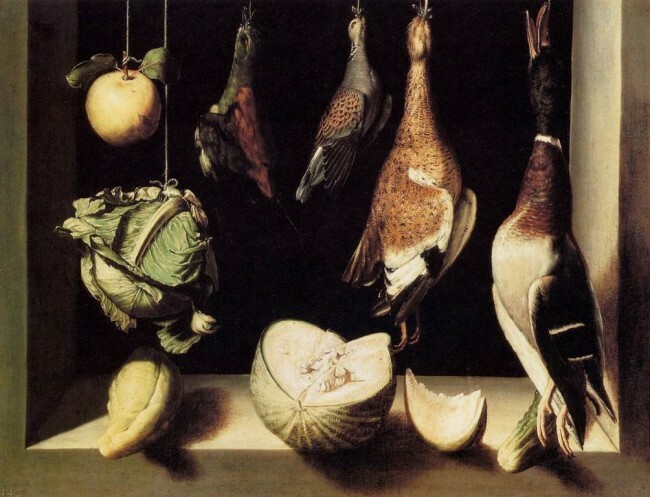 For example, both these paintings belong to the Still-Life genre; the subject of one is game fowl and fruit and veg, the subject of the other is well, someone forgot to tidy their nightstand. In Western art, paintings that tell stories from history, the Bible or classical myths were considered the most important. Why were paintings ranked? The so-called hierarchy of genres expressed Renaissance values about what made the ‘best’ kids of art and had been set in stone in 1667 by André Félibien, consultant to the French Royal Academy of Painting and Sculpture. 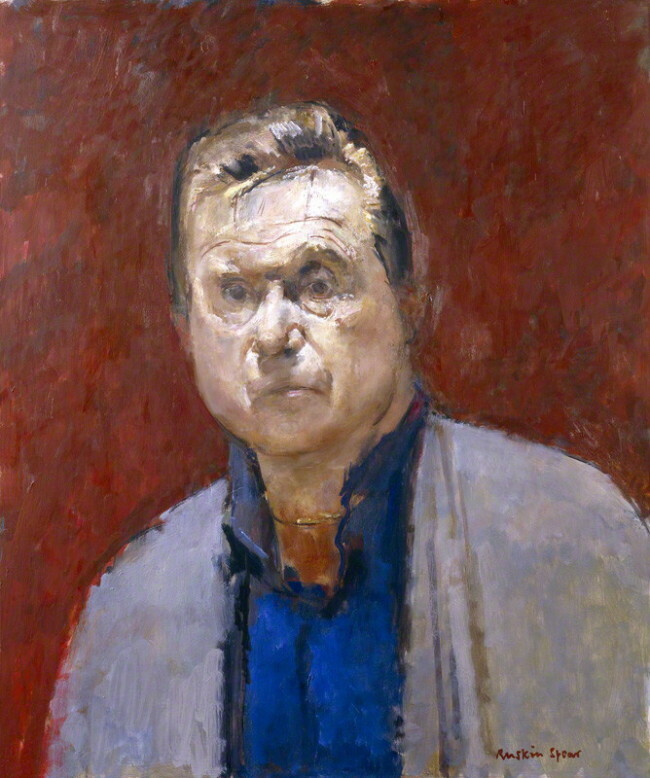 History of art has tended to follow Félibien’s system (top to bottom: History, Portraiture, Genre, Landscape, Still-Life) until the start of the 20th century. This explains a lot about the way Western art developed. History paintings tend to be BIG and put across a message. They can elevate the past or create a tale that is relevant to the contemporary viewer. Below history comes portraiture. Portraits come as selfies, one person, two people, a group. A portrait might capture just the eyes, a full face, head and shoulders or full length. In sculpture portraits can range from a bust to a standing figure to a person on a horse. 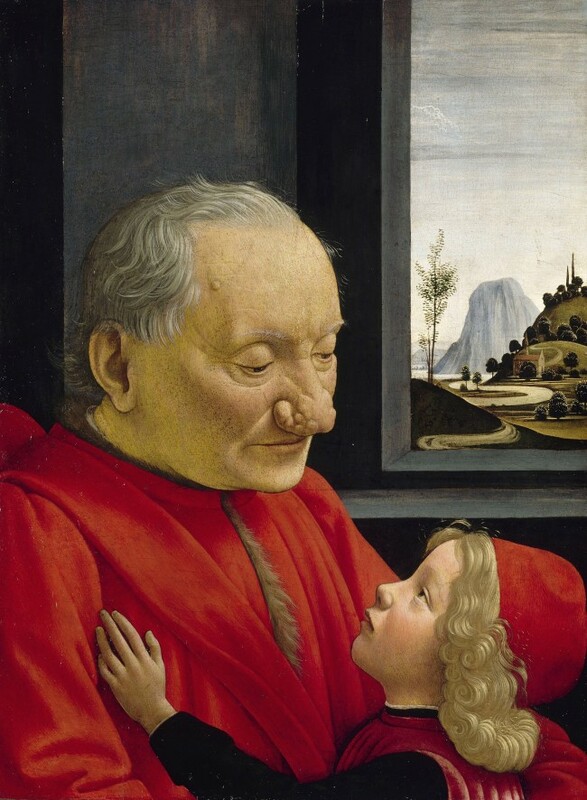 Portraiture was seized on by ancient cultures and really took off in the Renaissance when the idea that man is made in God’s image settled in the psyche. Portraits capture features and character and approaches are endless. 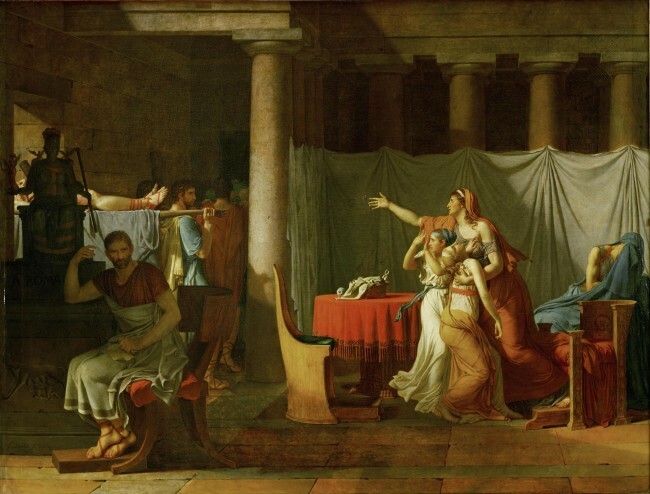 Unlike history or religious paintings genre paintings are small because their subject matter is “unimportant” and they were made to hang in modest houses rather than palaces or churches. People in genre scenes are unidentified peasants or bourgeoisie engaged in simple or salacious pastimes. 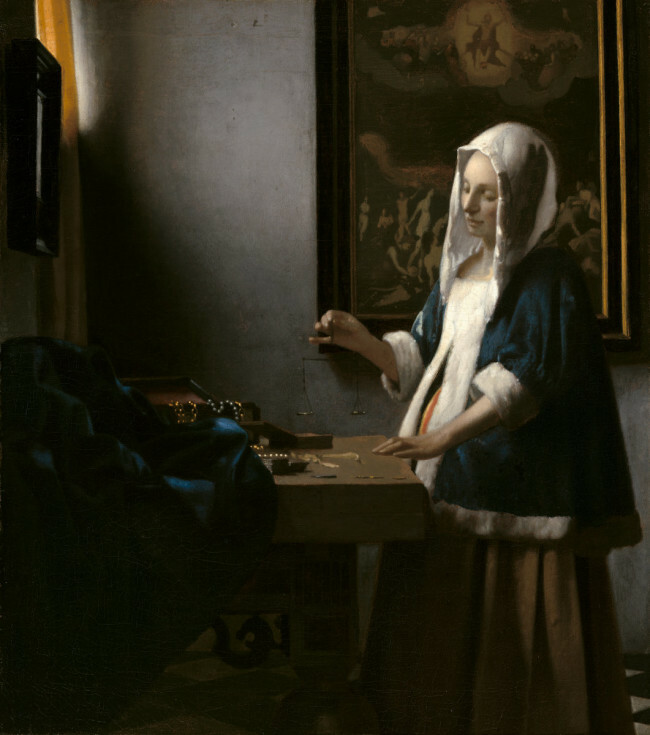 Genre painting took off in Northern Europe and no one nailed it better than Vermeer. Western Landscape painting has its roots in the Renaissance when religious pictures were first given realistic rather than gold backgrounds. 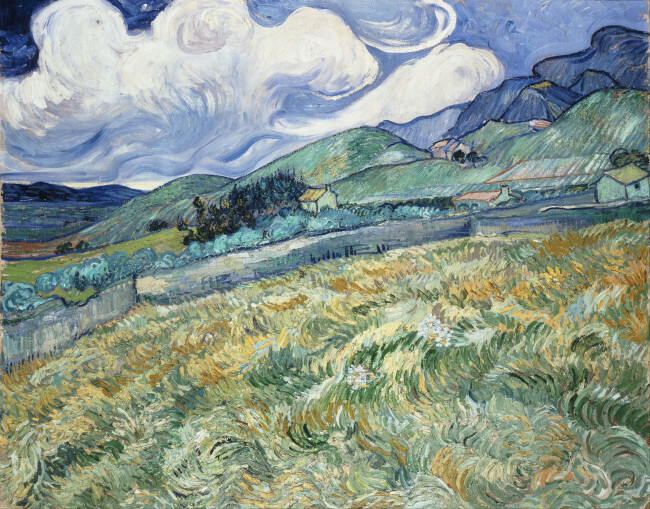 Over time figures became smaller while the landscape grew bigger and became a genre in its own right. 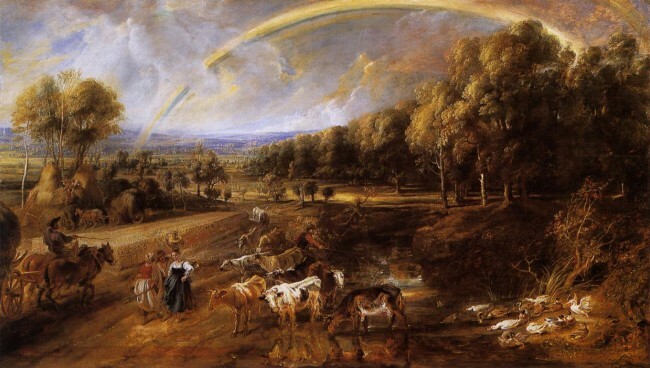 Landscape’s low ranking in the 17th century hierarchy has no relevance today and the idea that a landscape can communicate on an emotional and spiritual level has been taken up by many artists. The advantage of a Still-Life over Landscape or Portraiture is that the artist has complete control over content, composition and lighting. 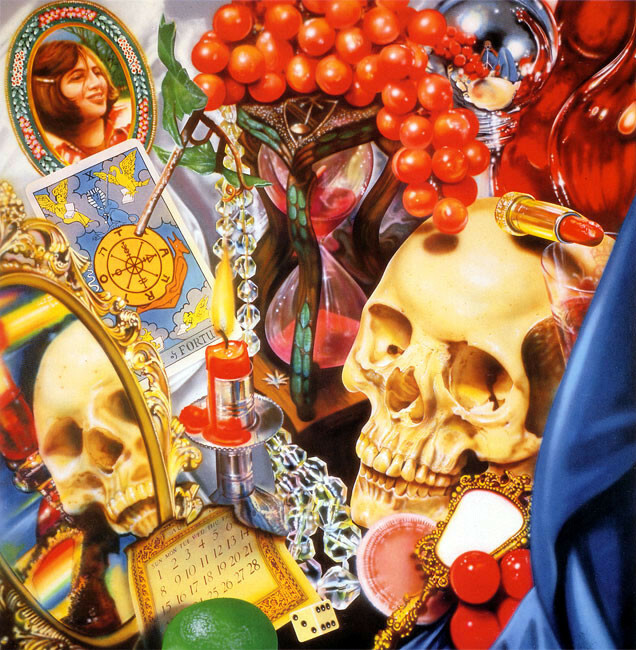 Still-Life is usually about showing off artistic skill and sometimes about imbuing objects with symbolism. Still-Life paintings tend to be smaller. Many artworks bridge genres. Also, there are so many subjects in art history that many fall beyond the bounds of the hierarchy. 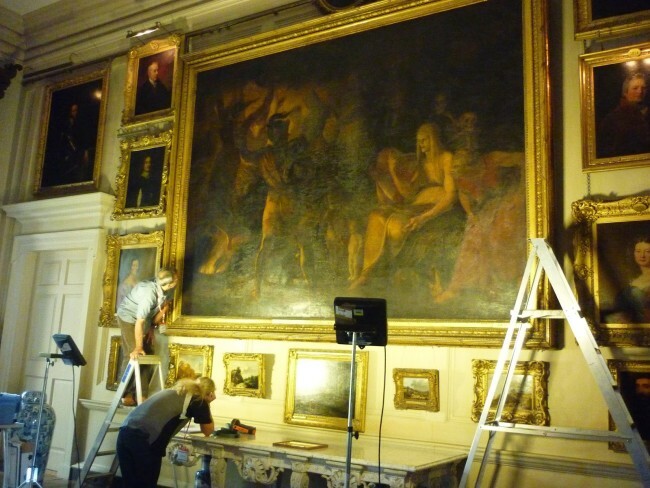 Religious subjects such as madonnas or images of Christ for example, representations of mother and child, or nudes. 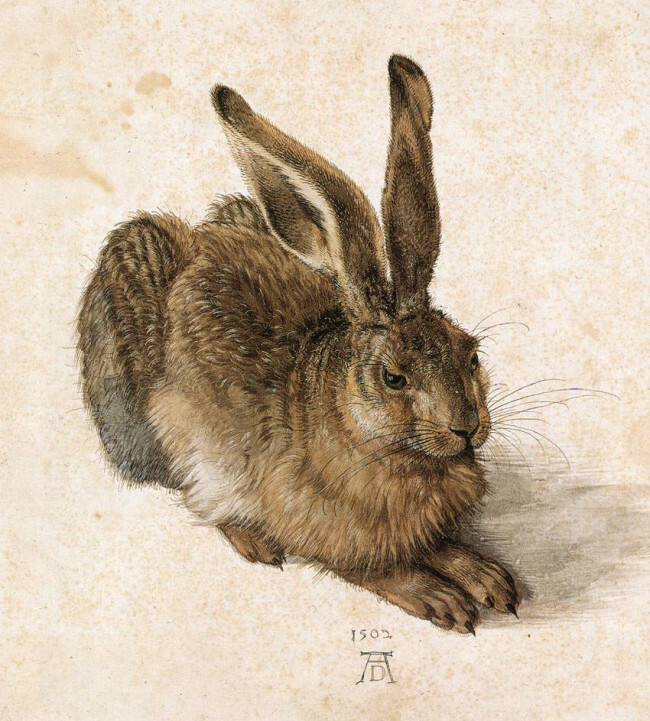 Animals too – a popular subject in art history – fall outside any category. Artists do not always want to copy what they see around them: they may use nature as a starting point and transform it beyond recognition. 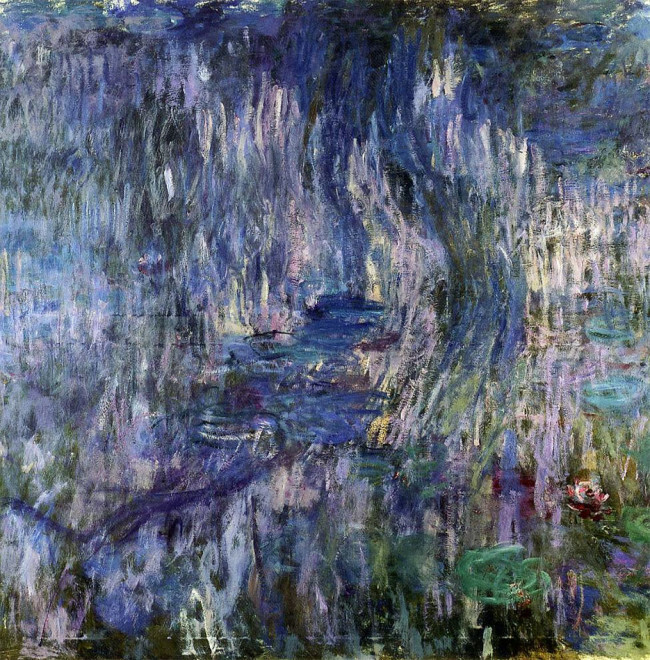 In semi-abstract works there are hints of something recognisable from real life such as here where Monet offers fading flashes of his famous waterlilies. Art that does not represent the world in any recognisable way is called non-representational or abstract. Abstraction allows artists to use stylised or exaggerated forms to state their own feelings or provoke response. 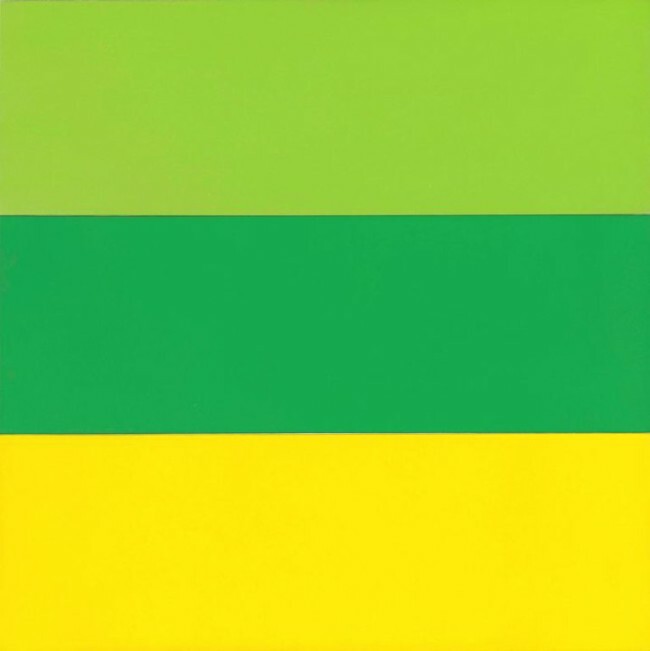 This is Train Landscape by the American artist Ellsworth Kelly. Can you hear the train? With a sense of genre and subject in hand the next step (and where it gets good) is to look at how the artist has put the thing together. Composition is up next week. Next > Composition: let’s start! Thank you for starting this blog! I really enjoy reading your informative yet unpatronising blogs. The I look forward to the composition entry!